Ammonia fortified glass cleaner for all glass cleaning needs. Removes smoke film, road film, bugs and plasticizer film. 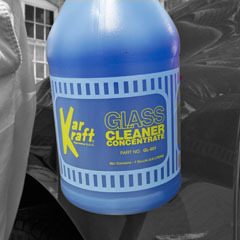 One gallon makes up to 8 gallons of ready-to-use glass cleaner.